Small - $18.99 Only 3 left! Medium - $18.99 Only 6 left! Large - $19.99 2XL - $18.99 Only 1 left! Do you often spend countless hours trying to think of an outfit that is the perfect mixture of formal and casual? Something that is the embodiment of both classy and laid-back? Well, you can now rest easy. We have found the perfect solution for this almighty conundrum. Check out this Black Tuxedo T-Shirt! It will be perfect for your magician costume or for a fancy penguin disguise. Ever get invited to a party without having a clue as to what the dress code is? 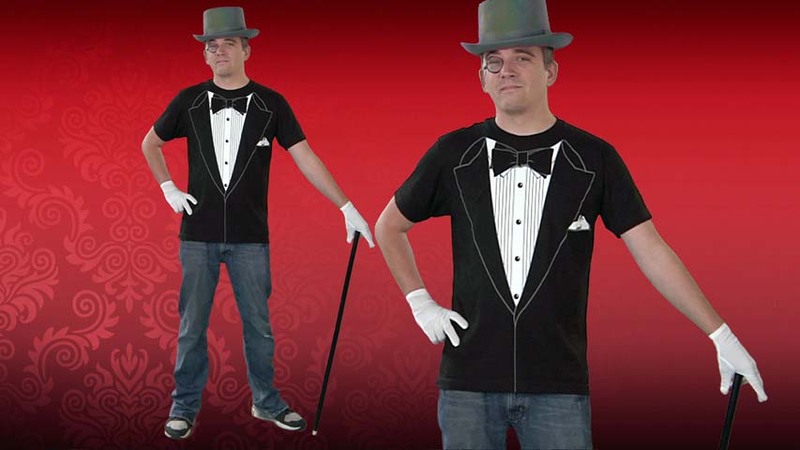 Well never worry about being under or overdressed again, with this awesome Tux Tee you'll be both! In, like, the best way. Bring a smile to everyone's face and always enjoy the comfort of a t-shirt with this versatile and practical apparel. 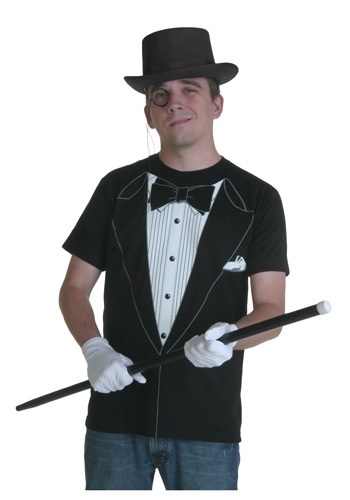 Grab a top hat and some dashing white gloves and you'll be ready for prom, a wedding, an awesome party, really just about any situation that could possibly occur!